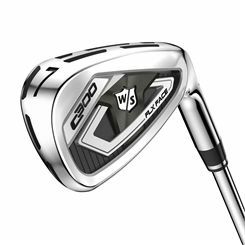 A complete set of graphite-based irons meant ultimately for players thriving for increased distance when attempting holes, the Wilson Staff D7 Ladies Graphite 6-PW, SW Golf iron set consists of six quality clubs: 6-9 irons, a pitching wedge and a sand wedge. 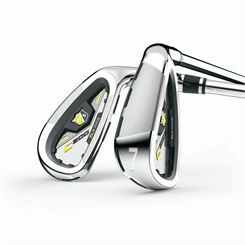 The clubs are dedicated for right-handed female players seeking accurate power straight off the tee and whooping distance without much effort put into each stroke thanks to the RE-AKT technology. 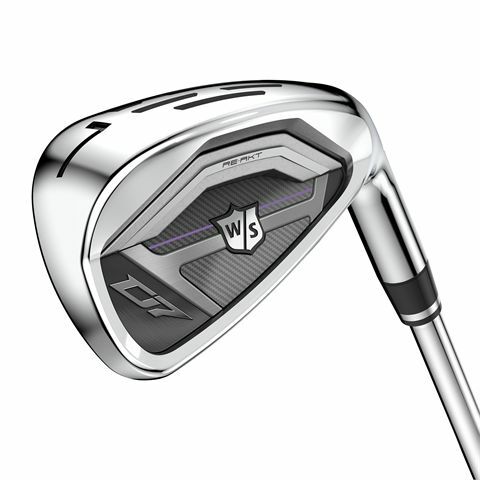 Exceptional responsiveness, excellent shot sensation and supreme crisp sound comes from the Ultra-thin face design whilst cleaner lines and updated aesthetics allow for better focus and precise shot alignment. 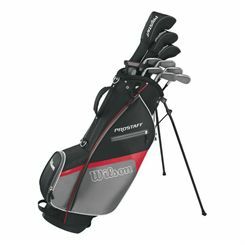 The set includes all clubs are fitted with Graphite UST Mamiya Recoil 450 shafts and Wilson’s Staff Women's Performance grips. 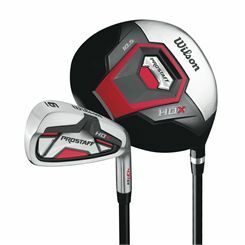 The Wilson ProStaff SGi steel package golf half set is a great choice for beginners seeking improved accuracy and distance. 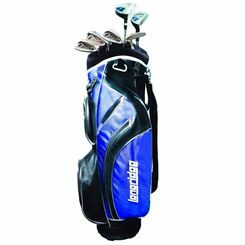 The set is available in right hand only (for right handed players) and includes wood no. 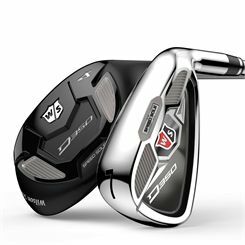 3, irons no. 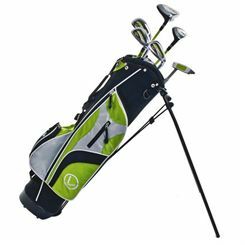 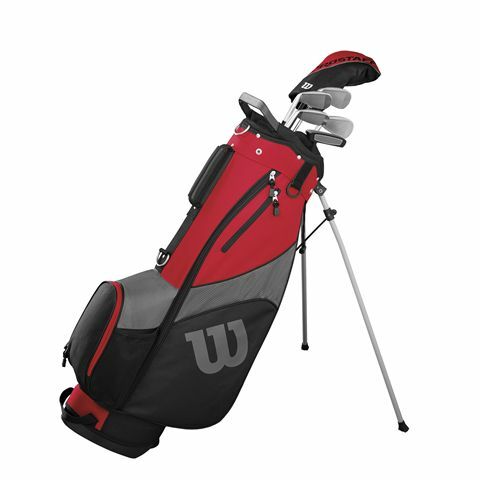 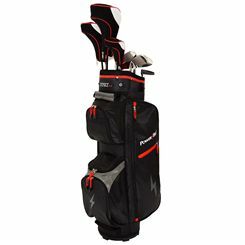 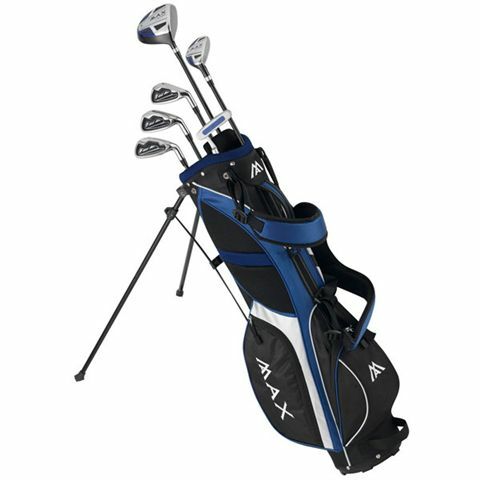 5, 7, 9, sand wedge, putter and a functional carry stand bag with a lightweight construction and a multi-way divider top ensuring excellent organisation of your equipment. Steel shafted, large cavity style irons feature a weighted sole design and ensure increased stability at impact, as well as added forgiveness. 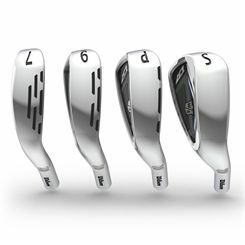 Plus, for a better feel and consistency of roll, there is a traditional heel/toe weighted putter with a face insert and alignment aids on the top. 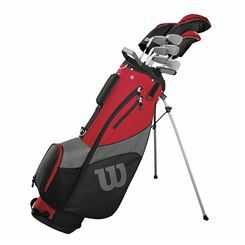 Sweatband.com golf offers you the latest and best range of golf sets and golf products including mens golf sets, ladies golf sets and junior golf sets from many brands such as: Deluxe, Cleveland or Longridge.